As a Child Psychiatrist with over 15 years of experience treating learning disorders including ADD and ADHD, I see first-hand how serious a problem it can be for students and parents, as well as educators. Having worked tandem on numerous occasions with Coach Juli Shulem I have seen some very exciting changes take place in these students. Time after time, Juli has made the difference in the turn-around and progress in the child. Her understanding and non-judgmental approach quickly captures the confidence of her students, and parents alike. Juli has a keen grasp of human behavior and clearly understands the trials and tribulations of dealing with a child, as well as an adult, who lives with ADHD. Between working with parents in addition to the child, creating systems that truly work for these young people, and being available with feedback and accountability in a way a therapist can’t be, Coach Juli has some truly amazing results with her clients. I have seen firsthand how her students begin to improve. Students become more motivated and excited about school and learning. Parents become hopeful and encouraged as they see their child succeed. And to witness the development, often for the first time, of the child’s self-esteem, confidence, and happiness is a true joy. Thank you, Coach Juli, for the hope and change you have given so many of my patients. I am writing to thank you for all that you have done for me over the past couple of years. You have helped me get to a place where I feel not only better about myself, but you have given me the confidence to accomplish tasks that I would have given up on only a few years ago. You have provided me with the tools that I was lacking to achieve success and I will be forever grateful for that (For example, I still use the calendar and reminders the way we set it up and the white noise reading strategy!). I want to thank you for putting up with my weirdness and indulging it, and following my ridiculously longwinded tangents that easily transformed 1 hour sessions into 4 hours (for that I commend you --- you deserve some type of medal or something). You also were able to figure out ingenious ways to overcome my stubbornness, the ability of which could only be attributed to some crazy mind tricks that would be dangerous if they fell into the wrong hands. Thank you for letting me into your home and treating me as more than just a client. You let me sit at your house for hours to write a paper (where all I did was stare at the screen for half of it), made me delicious food, and shared parts of your own life with me. Lastly, thank you for never giving up on me and believing that I was always capable of more. What I am trying to say is as I look back on my almost four years in college and the amount of growth I have seen in myself, I can attribute a lot of it to your help. You have been a fantastic coach/mentor/guide throughout my college career and have had a tremendously positive impact on my life. I am lucky to have had you as a coach. I met Juli roughly a year ago through a friend at the workplace. At the time I was going through a very difficult breakup and my financial and vocational life were in shambles. I know that at the age of 28 these tribulations are not uncommon, but at the time, I was looking for anyone who could help me deal with some of the burden. Having struggled from ADD for the whole of my life, I initially was seeking help managing life, business, and low level depression, and ended up finding a savior in the mist. I must say, in the very beginning, I was somewhat skeptical about how much a person could help me with problems that I have been trying to manage my whole life, but found myself wound in silver lining. Juli is hands down one of the most caring and nurturing people that I have even met. Her ability to empathize and relate to what you are going through, in addition to actually be able to come up with working plans and solutions, are impeccable. Me being a pragmatic and ambitious younger man, I am most definitely a results guy, and I can honestly say that Juli helped transform my sinking situation into levels of happiness that I almost never expected to have. I have completely transformed my vocational and financial world through hard work and diligence with the spirit to carry on, which Juli helped inspire in me from day one. I knew that she believed in me and would see me through no matter what it took. She offered support and advice on so many levels and was able to do it in a way that delivered positive reinforcement without patronization. Being in my predicament finances were a problem, but out of the kindness of her heart and desire to help, Juli worked with me without any expectations and is still working with me today. Whether she is cognizant of it or not, Juli Shulem is one of those people that can help reaffirm your faith in humanity and remind you that there are people in this world that spread love and truly make it a better place. I would recommend Juli to absolutely anyone. Whatever your plight or struggle may be, I highly encourage you to seek help and work with Juli to help put your life and current situation on the best possible course. I was diagnosed with ADHD at the end of my undergraduate studies, later than most, and the medication I started taking seemed to make everything worse. As the beginning of Law School approached I knew I needed help and I began working with Juli through the summer and was amazed at what a difference she made. While the medication allowed me to function, it was she who showed me how to do it. From her I learned about the bad habits I had established as coping mechanisms and the ways to work around them and develop new habits. I learned how to make my studying more effective and efficient. More importantly, she taught me how to live with ADHD, not just how to pass a class. We discussed everything from practical advice on different type of medication to the impact ADHD has on social relationships to the benefits of different food groups on focusing. She didn’t just tell me what to do, but taught me why each technique or strategy worked, so that I could adapt them and make my own plans to succeed at whatever might come up. Even though these changes seemed sweeping, even overwhelming, they were warmly shared in a manageable, approachable style that left me feeling like I was in control. We approached each issue one at a time and discussed different possible solutions, but she always left the final decision on which one to try with me. She made sure that I always felt that it was my life, my decisions, and most importantly, my successes. And when I did fall short Juli was unfailingly supportive and positive. I never felt ashamed while working with her, which left me feeling comfortable talking about what had gone right and wrong and how to learn from it. The end result has been improvement in my ability to focus, to plan, to take responsibility, and to stick with it when things get tough, and all on a scale I hadn’t even hoped would be possible. Thanks Juli! I was diagnosed with ADHD combined type in high school. I was prescribed medication but lacked the knowledge and the executive functioning to really work with the medication. I managed to get through high school procrastinating and cramming. My first year at UCSB was difficult and I continued the same deleterious patterns but still achieved good grades. As a pre-med student, my sophomore year was a different story. Classes such as organic chemistry, biology, labs and calculus hit me hard and my GPA took a turn for the worst. After a second quarter of hell, I realized that I needed help and I needed it badly. I joined the disabled students program (DSP) at UCSB, which allowed me to be tested in a separate setting with a proctor and minimal distractions and also allocated more time for my tests. I still needed direction, a push. DSP ADD/ADHD specialist David Dunlop suggested an ADD coach. He gave me a few numbers and said he had seen best results with one coach in particular, Juli Shulem. I wanted the best help possible. So, I called Juli, had an over-the-phone interview and my life began to change. Juli reorganized my study space and helped me to eliminate clutter and organize paperwork. She taught me how to schedule my time realistically. She taught me to balance my life. I was able to call or text her at any time for support and for the first few weeks she would call me to make sure that I was on track and doing what I planned to do. There is something amazing about this woman. Her voice sticks in your head. I can still hear: “It’s not forever it’s just for now,” or “Schedule meal time and schedule time for yourself.” In Juli I found not only an ADD coach, but also a life coach, a mentor and a role model for myself. She became like a second mother, a friend but also a coach who pushed me to my full potential and helped to alleviate much of the stigma associated with ADD/ADHD. My grades went from below a 3.0 to a 3.8 as I worked with Juli. I was willingly to try anything. I bought a timer because I have difficulty stopping a task and hyper-focus for hours. Juli provided me with a toolbox for living a balanced lifestyle. I honestly think that even the most organized person would benefit from a consultation with this sweet woman. I can’t really put into words the impact that Juli has had on my life. She is a remarkable woman with a very special gift. I love you Juli! Juli, I am extremely touched and moved by your email to me. I am so grateful for your support and will continue to move towards my goals. I will most definitely keep in touch. You are so encouraging… it’s unbelievable. I don’t think I have ever had anyone say as many encouraging things to me before as you do. I was told ‘you do not need to hear words, you need to see actions.’Maybe that’s true, but I have learned from you that words can be powerful. I actually was a little confused why you ended our sessions with so many nice words. I was uncomfortable with it, but to hear you continuously say kind words, was more touching and empowering than I could have ever imagined. And I’d like to thank you from the bottom of my heart for that. God bless your heart. Juli would be an asset to any business, it’s owner and team of employees. She comes into any situation, no matter how messy, with an open mind and a loving heart. She fearlessly creates systems for better organization that is tailored perfectly for individual cases. She helped me, and my staff to see areas that needed improvement, and then guided us to take the steps necessary to become more productive and profitable. Every time we had a coaching session with her, my nerves instantly settled and I knew everything was going to be ok. I began working with Coach Juli at the beginning of my first semester of college. My older sister, who has Inattentive ADD, like me, had been working with Juli for several years. My sister and parents were both pleased by the positive results that Juli had in working with my sister. I had always struggled in school and my poor academic performance left me without confidence and self esteem. My teachers and other professionals always made me feel that there was something wrong with me, and that my poor academic performance was due to me being inferior to the average person. Throughout elementary, middle, and high school I had worked with professionals, but the results were minimal because of their approach. The approach Juli takes to ADD is different than the majority of professionals in her field. The professionals I had previously worked with took the approach that there was something lacking about my capabilities as a person. Juli takes a more educated, and formulated approach. When I first began working with her, I could tell that she truly understood how my cognitive process worked. Other professionals I had worked with knew I had ADD, but did not have the slightest understanding of my cognitive operations. My working with Juli derived my complete self-awareness. Previously, my understanding was that I was not good at focusing, when in fact I have an extraordinary ability to hyper focus, which Juli uncovered. The impression of teachers and professionals left me feeling inferior about my cognitive functioning ability. Juli led me to discover how my thought process is superior and rote learning does require the use of complex, calculated, and intuitive intelligence. I am now fully aware and confident about my cognitive abilities. Through working with Juli my insecurities vanished, and my self-confidence flourished. Previous to my working with Juli, I had a lot of self-doubt, which inhibited my true potential. My interpretation was that I was bad at writing essays and possessed poor language skills, when in reality I was never secure enough to feel comfortable expressing my own reasoning. I felt that my vocabulary was inadequate, but when I gained the confidence to express my own thoughts I discovered that I have, in fact, a remarkable vocabulary, and possess excellent communication skills. Now, after two semesters of working with Juli I make and keep eye contact, hold my chin up, walk with confidence, express my opinion and participate fully in class, and I know my potential is far greater than I ever thought. You are making such a wonderful difference in our lives! Thank you for all of your gracious support and encouragement that evening when I wanted to give up. You brought us through such a tough time. I would not have anticipated that when I was fortunate enough to find you to help my daughter transition from high school to college that I also would personally learn so much. After seeing the positive results in her I knew it could be even better if I also had you coach me. I am now learning to manage my life in a more efficient and fulfilling way and am setting a positive example for my children and family. It was the winter quarter of my Senior Year as a BS Biology Major, and life just seemed to be a constant struggle. I would spend endless hours in my science classes trying to figure out the best method for studying and preparing for exams, but I was all over the place. This wasn’t new to me, but it was the most frustrating experience because my peers were studying less than me and able to achieve more than I was. Winter quarter was the tipping point, when I finally had enough of this tireless struggle, and decided to seek out help. I saw Juli’s website and was intrigued by a testimonial of another former pre-med client of hers that had undergone a transformation after learning Juli’s strategies. I decided to take the next step, which would begin a year-long transformation in redefining myself and unleashing my true potential. I’ll admit it wasn’t easy critically at looking your life with someone else, but it has been the most rewarding experience ever. If you are a struggling college student and you want to get out of a rut, contact Juli, and she will help teach and guide you with the skills necessary to redefine yourself into the person you want to become for the rest of your life. I am a junior and currently attend Indiana University. First time I have lived completely by myself. Ms. Shulem designed a thorough and detailed schedule tailoring my daily routines. It included everything from grocery shopping to completing homework assignments and to a healthy sleeping schedule. Ms. Shulem planned each day of the week and how exactly I would go about it. Ms. Shulem also provided motivational support during my final exams. Which without a doubt contributed immensely to my academic success. I am now completing assignments well before they are due, on a better sleeping schedule, have a balanced diet, and a detailed work plan. I have only seen positive results with Ms. Shulem’s work. Juli Shulem has made my life easier and significantly more organized. It was a rather major task since I was utterly disorganized. I went from flying loose sheets of papers with daily tasks strewn about the house, to one simple time management system. Juli is energetic, fun and is very talented at getting people organized. My husband and I were having great difficulties organizing our home during and following a remodel. We contacted Juli and found her to be of terrific help to us. Her insights as to why we were having difficulties, her skillful way of handling each of our personalities, her thoughtfulness in directing both of us, all amazing. Juli’s got a gift we feel lucky to have had her share. I personally can move forward in multiple ways I couldn’t have done before. She got our purging and organizing processes moving way more swiftly than we were able to do ourselves. I value Juli’s help highly, would love to recommend her to anyone, and really like her as a person. With humor and clear direction, Juli gave me tools and a system to help alleviate my chaos in a non-judgmental way. My teenage daughter also loved working with Juli. Her playful and light way of presenting the material made it easy for my daughter to respond to Juli openly and without resistance. Juli has been invaluable in helping me get projects and paperwork done that were undoable on my own. Having a head injury and mild ADD prevented me from being able to organize things well or get things done in a timely manner. Juli has taught me these skills and also has helped me complete many sundry things. She has tons of knowledge and stamina to help you tackle your toughest projects and really cares about helping you feel and be successful! Thank you, Juli!!!! I got help with school by getting Juli to help me with the things I’m wasn’t succeeding in. I had to learn how to do all these new things and how to ask for help from my teachers, and get better information than I was getting before. And I think it is a good idea to see Juli because she knows how to help you in school and all of your activities you need help with. I was having problems with reading and so I have been practicing how to read and reading out loud and utilized the ideas that Juli suggested to me. She also taught me how to keep my things better organized and better ways to work. She also helped adjust my schedule with my family and that made getting things done easier and with less stress. Mornings and bedtimes are much smoother now too. I met Juli roughly a year ago through a friend at the workplace. At the time I was going through a very difficult breakup and my financial and vocational life were in shambles. I know that at the age of 28 these tribulations are not uncommon, but at the time, I was looking for anyone who could help me deal with some of the burden. Having struggled from ADD for the whole of my life, I initially was seeking help managing life, business, and low level depression, and ended up finding a savior in the mist. I must say, in the very beginning, I was somewhat skeptical about how much a person could help me with problems that I have been trying to manage my whole life, but found myself wound in silver lining. Juli is hands down one of the most caring and nurturing people that I have even met. Her ability to empathize and relate to what you are going through, in addition to actually be able to come up with working plans and solutions, are impeccable. Me being a pragmatic and ambitious younger man, I am most definitely a results guy, and I can honestly say that Juli helped transform my sinking situation into levels of happiness that I almost never expected to have. I have completely transformed my vocational and financial world through hard work and diligence with the spirit to carry on, which Juli helped inspire in me from day one. I knew that she believed in me and would see me through no matter what it took. She offered support and advice on so many levels and was able to do it in a way that delivered positive reinforcement without patronization. Being in my predicament finances were a problem, but out of the kindness of her heart and desire to help, Juli worked with me without any expectations and is still working with me today. Whether she is cognizant of it or not, Juli Shulem is one of those people that can help reaffirm your faith in humanity and remind you that there are people in this world that spread love and truly make it a better place. I would recommend Juli to absolutely anyone. Whatever your plight or struggle may be, I highly encourage you to seek help and work with Juli to help put your life and current situation on the best possible course. I feel like I’ve accomplished the goals I set up to hit when I hired you to coach me. Namely getting control of my projects instead of feeling like I was spinning my wheels all the time. Hi Juli! I simply feel lighter after meeting you� what a great thing to experience on the last day of 2010! You are priceless! There is renewed hope circling in my veins� and I look forward to getting accountable and organized properly. 2011 is my time to rebuild and focus on the future I want for myself. And, all my STUFF (ideas, post-it notes, files, to do lists, finances, obstacles to break through, etc.) is ready to be realigned. I’m excited to work with you! My husband and I were having great difficulties organizing our home during and following a remodel. We contacted Juli and found her to be of terrific help to us. Her insights as to why we were having difficulties, her skillful way of handling each of our personalities, her thoughtfulness in directing both of us, all amazing. Juli’s got a gift we feel lucky to have had her share. I personally can move forward in multiple ways I couldn’t have done before. She got our purging and organizing processes moving way more swiftly than we were able to do ourselves. I value Juli’s help highly, would love to recommend her to anyone, and really like her as a person. Juli Shulem has made my life easier and significantly more organized. It was a rather major task since I was utterly disorganized. I went from flying loose sheets of papers with daily tasks strewn about the house, to one simple time management system. Juli is energetic, fun and is very talented at getting people organized. I am a junior and currently attend Indiana University. First time I have lived completely by myself. Ms. Shulem designed a thorough and detailed schedule tailoring my daily routines. It included everything from grocery shopping to completing homework assignments and to a healthy sleeping schedule. Ms. Shulem planned each day of the week and how exactly I would go about it. Ms. Shulem also provided motivational support during my final exams. Which without a doubt contributed immensely to my academic success. I am now completing assignments well before they are due, on a better sleeping schedule, have a balanced diet, and a detailed work plan. I have only seen positive results with Ms. Shulem’s work. It was the winter quarter of my Senior Year as a BS Biology Major, and life just seemed to be a constant struggle. I would spend endless hours in my science classes trying to figure out the best method for studying and preparing for exams, but I was all over the place. This wasn’t new to me, but it was the most frustrating experience because my peers were studying less than me and able to achieve more than I was. Winter quarter was the tipping point, when I finally had enough of this tireless struggle, and decided to seek out help. 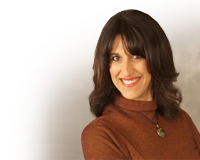 I saw Juli’s website and was intrigued by a testimonial of another former pre-med client of hers that had undergone a transformation after learning Juli’s strategies. I decided to take the next step, which would begin a year-long transformation in redefining myself and unleashing my true potential. I’ll admit it wasn’t easy critically at looking your life with someone else, but it has been the most rewarding experience ever. If you are a struggling college student and you want to get out of a rut, contact Juli, and she will help teach and guide you with the skills necessary to redefine yourself into the person you want to become for the rest of your life. Dear Juli, You are making such a wonderful difference in our lives! Thank you for all of your gracious support and encouragement that evening when I wanted to give up. You brought us through such a tough time. I would not have anticipated that when I was fortunate enough to find you to help my daughter transition from high school to college that I also would personally learn so much. After seeing the positive results in her I knew it could be even better if I also had you coach me. I am now learning to manage my life in a more efficient and fulfilling way and am setting a positive example for my children and family. I began working with Coach Juli at the beginning of my first semester of college. My older sister, who has Inattentive ADD, like me, had been working with Juli for several years. My sister and parents were both pleased by the positive results that Juli had in working with my sister. I had always struggled in school and my poor academic performance left me without confidence and self esteem. My teachers and other professionals always made me feel that there was something wrong with me, and that my poor academic performance was due to me being inferior to the average person. Throughout elementary, middle, and high school I had worked with professionals, but the results were minimal because of their approach. The approach Juli takes to ADD is different than the majority of professionals in her field. The professionals I had previously worked with took the approach that there was something lacking about my capabilities as a person. Juli takes a more educated, and formulated approach. When I first began working with her, I could tell that she truly understood how my cognitive process worked. Other professionals I had worked with knew I had ADD, but did not have the slightest understanding of my cognitive operations. My working with Juli derived my complete self-awareness. Previously, my understanding was that I was not good at focusing, when in fact I have an extraordinary ability to hyper focus, which Juli uncovered. The impression of teachers and professionals left me feeling inferior about my cognitive functioning ability. Juli led me to discover how my thought process is superior and rote learning does require the use of complex, calculated, and intuitive intelligence. I am now fully aware and confident about my cognitive abilities. Through working with Juli my insecurities vanished, and my self-confidence flourished. Previous to my working with Juli, I had a lot of self-doubt, which inhibited my true potential. My interpretation was that I was bad at writing essays and possessed poor language skills, when in reality I was never secure enough to feel comfortable expressing my own reasoning. I felt that my vocabulary was inadequate, but when I gained the confidence to express my own thoughts I discovered that I have, in fact, a remarkable vocabulary, and possess excellent communication skills. Contrary to my experience with other professionals in her field, Juli’s approach is honest, direct, non judgmental, patient, understanding, and benevolent. Juli does not give up in the face of frustration, and goes the extra mile. She truly cares about her clients as individuals, not as a source of income, and gets her satisfaction from watching a person reach their true potential. Instead of putting everyone with ADD into one category with one solution, Juli sees every client as an individual and formulates strategies that are unique to that person Now, after two semesters of working with Juli I make and keep eye contact, hold my chin up, walk with confidence, express my opinion and participate fully in class, and I know my potential is far greater than I ever thought. Juli, I am extremely touched and moved by your email to me. I am so grateful for your support and will continue to move towards my goals. I will most definitely keep in touch. You are so encouraging� it’s unbelievable. I don’t think I have ever had anyone say as many encouraging things to me before as you do. I was told ‘you do not need to hear words, you need to see actions.’Maybe that’s true, but I have learned from you that words can be powerful. I actually was a little confused why you ended our sessions with so many nice words. I was uncomfortable with it, but to hear you continuously say kind words, was more touching and empowering than I could have ever imagined. And I’d like to thank you from the bottom of my heart for that. God bless your heart. I was diagnosed with ADHD at the end of my undergraduate studies, later than most, and the medication I started taking seemed to make everything worse. As the beginning of Law School approached I knew I needed help and I began working with Juli through the summer and was amazed at what a difference she made. While the medication allowed me to function, it was she who showed me how to do it. From her I learned about the bad habits I had established as coping mechanisms and the ways to work around them and develop new habits. I learned how to make my studying more effective and efficient. More importantly, she taught me how to live with ADHD, not just how to pass a class. We discussed everything from practical advice on different type of medication to the impact ADHD has on social relationships to the benefits of different food groups on focusing. She didn’t just tell me what to do, but taught me why each technique or strategy worked, so that I could adapt them and make my own plans to succeed at whatever might come up. Even though these changes seemed sweeping, even overwhelming, they were warmly shared in a manageable, approachable style that left me feeling like I was in control. We approached each issue one at a time and discussed different possible solutions, but she always left the final decision on which one to try with me. She made sure that I always felt that it was my life, my decisions, and most importantly, my successes. And when I did fall short Juli was unfailingly supportive and positive. I never felt ashamed while working with her, which left me feeling comfortable talking about what had gone right and wrong and how to learn from it. The end result has been improvement in my ability to focus, to plan, to take responsibility, and to stick with it when things get tough, and all on a scale I hadn’t even hoped would be possible. Thanks Juli! As a Child Psychiatrist with over 15 years of experience treating learning disorders including ADD and ADHD, I see first-hand how serious a problem it can be for students and parents, as well as educators. Having worked tandem on numerous occasions with Coach Juli Shulem I have seen some very exciting changes take place in these students. Time after time, Juli has made the difference in the turn-around and progress in the child. Her understanding and non-judgmental approach quickly captures the confidence of her students, and parents alike. Juli has a keen grasp of human behavior and clearly understands the trials and tribulations of dealing with a child, as well as an adult, who lives with ADHD. Between working with parents in addition to the child, creating systems that truly work for these young people, and being available with feedback and accountability in a way a therapist can’t be, Coach Juli has some truly amazing results with her clients. I have seen firsthand how her students begin to improve. Students become more motivated and excited about school and learning. Parents become hopeful and encouraged as they see their child succeed. And to witness the development, often for the first time, of the child’s self-esteem, confidence, and happiness is a true joy. Thank you, Coach Juli, for the hope and change you have given so many of my patients.